The idea of growing Oyster mushroom﻿﻿s came from the people of Germany. During World War 1 it was used to help supply food for the German army. From then on, different countries cultivate their own Oyster mushrooms in diverse areas. So that they can make a meal out of this bittersweet fungus, they created a method to cultivate it. There are ways to cultivate mushrooms, and each type of mushroom has its own temperature to grow. Observe the room temperature when growing mushrooms because it differs in each kind. In this article, we will teach you on how to grow Oyster mushrooms on straws. Buying this kind of mushroom in the grocery can be very expensive. That’s why to save money; you just need to be patient and grow your own mushrooms at home. Oyster Mushrooms are known to grow on dead trees in the forest where the humidity and light are at its lowest. At home, the materials that you would be using for this project is not that hard to find. 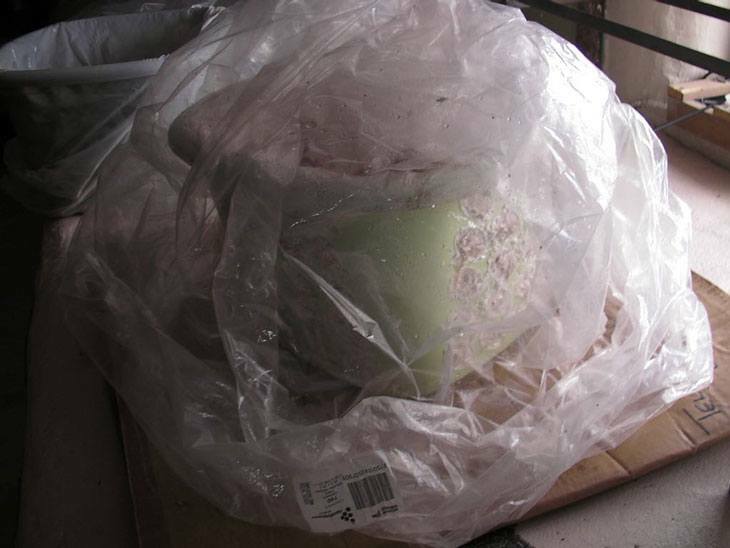 Items such as baskets, plastic bags, and spray bottles are fairly easy to find. Growing it takes time, but the preparation and molding of its containers are easy to build. 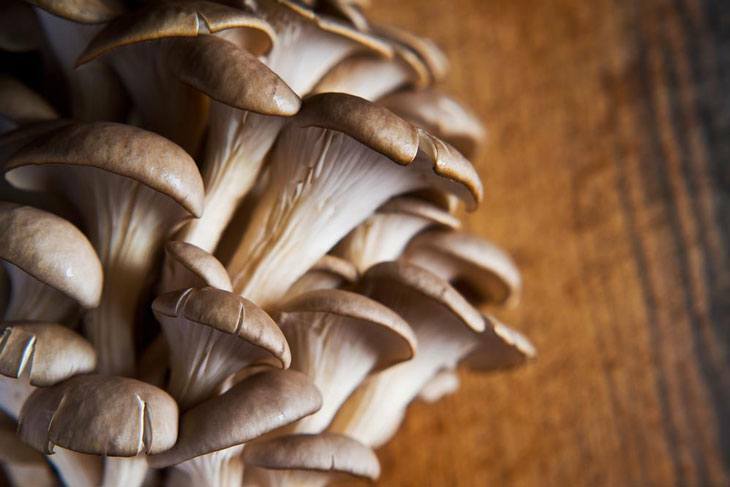 Here are the materials that you need to prepare before growing your own Oyster mushrooms. Make sure that the materials and ingredients needed are all present. When starting the process, missing one could spell disaster to your mushroom farm. Before you start the process, please sterilize the materials that need’s to be sterilized. Wash your hands before touching the mushroom spawns. Now let’s start growing! Before you start growing mushrooms the first step that you must make is to check the humidity of the soil. Take notes on these numbers before you start planting. Spawn Run: grows in 12-21 Days, needs no light, 75F, Humidity level of 85-95%. Primordial: Partial Shade required. Needs 3-5 days to develop, 95-100% Humidity level, 50F-60F, Fresh air 3 times daily. Spawn Run: needs 7-10 days to grow, 90%-100% humidity level, 75F-85F. Primordia: needs 2-4 days to develop, fresh air 3 times a day, 95%-100% humidity level, 65F-75F, needs full light to grow. Fruiting: needs 3-5 days to grow, fresh air 3 times a day, 85%-95% humidity level, 70F-85F, full light is needed to grow. Boil the pot with the 2 gallons of water it until it reaches 180 degrees F.
Next, gradually fill the basket with the straw and make sure to compress it tightly. 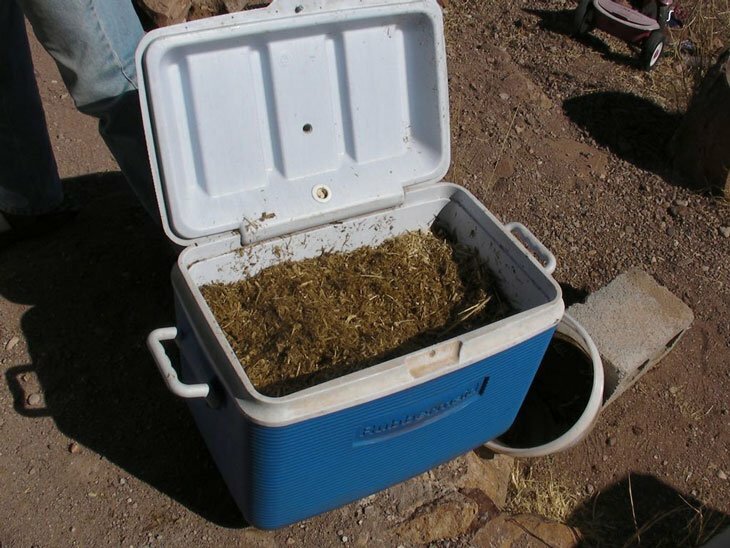 Unload the straw into the ice chest. Put some gypsum (1/8 cup) and lime (1/4 cup) on the straw. Pour over the straw the hot water that you boiled earlier. For 2 hours, soak the straw into the ice chest and close it shut. 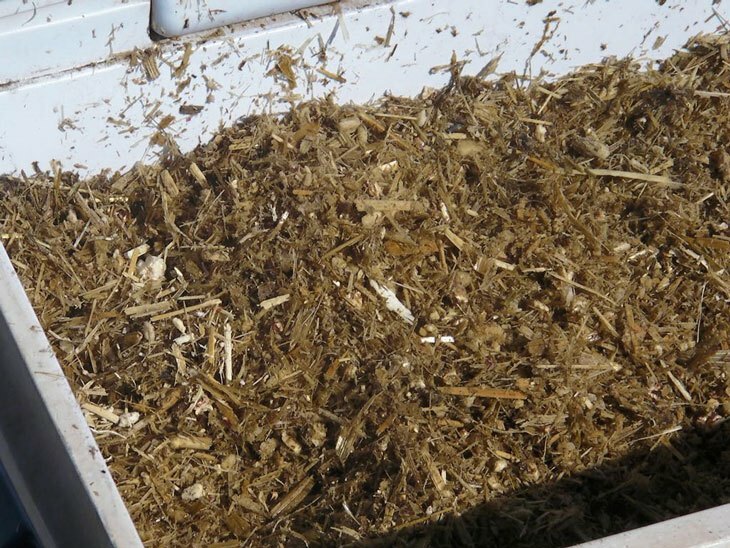 Pasteurizing the straw kills the unwanted bacteria that might affect its growth. With this method, you’re making sure that the straw that will be the base of your mushroom is clean and ready to be used. After 2 hours, prepare the screen for the straw to cool down and for easy layering. Place less than 2 inches thick layer of hot straw on the screen. After it has cooled down, compress about 2 inches thick layer of straw into the laundry basket. On the screen place a new layer of straw. Wrap the straw in the basket with your oyster mushroom spawn. The spawn must be evenly distributed on the straw. And, the mushroom spawns must be 2 inches away from the edge of the basket. Keep repeating the steps 3-5 until the basket is full of straw. Remove the excess straw from the edge of the basket when it’s full. Finally, with the trash bag cover the laundry basket. Now that you’ve done filling in the baskets with the straws find a suitable place to let the Oyster mushrooms grow. Keep it out of direct sunlight. Direct sunlight might affect the growth of the mushroom. In a warm and dark room, check the temperature and humidity of the room before you place the basket of straw. After one week check the basket for mushroom growth. When you see some white Mycelium growing inside the basket, cover it again and check it from time to time. Once the straw has been completely covered by the Mycelium, you can now start pinning. In a cool and well-lit room uncover the basket. Mist and place the basket in open air 3 times a day. The formation of the primordia can take as much as five days. Finally, when tiny little pins grow and the basket is full of these pins you can now continue to the fruiting stage. Transfer the basket in a warm room with more light. Continue to mist the basket once a day and expose it to fresh air 3 times daily. Move the basket to a much safer location if you notice fruit flies forming around your crop. Tighten the plastic over of your basket if you have to. When the heads of the mushroom begin to turn upright, you can now harvest. Carefully observe the growth of your mushroom because it grows really fast. Mist the basket thoroughly after you harvest the mushrooms. After harvesting your mushrooms, you can produce your own spawn by using this method. Slice the bases and stems of the mushroom into little pieces. You'll need the cardboard at least 8" high, so you’ll need to cut it into 6" by 6" squares. Until the layers of cardboard can separate easily, drench it in water for about 10 minutes. Set the cardboard in a trash bag. Pull the layers apart and separate a piece of cardboard until you have a piece of corrugations. Put the small pieces of mushroom on the cardboard layer and the corrugated piece inside the bag. Then cover it with cardboard. Placing each piece on top of the other layer, repeat steps 5 and 6. With a loose knot, close the bag and mark each bag with a specific date. Place it in a warm and dark room for 15 days. Every few days, check the bag for mycelium. When the entire stack is filled with mycelium, it is now ready to be placed in the basket. Be careful of green mold, if you see it growing on your cardboard remove it immediately. 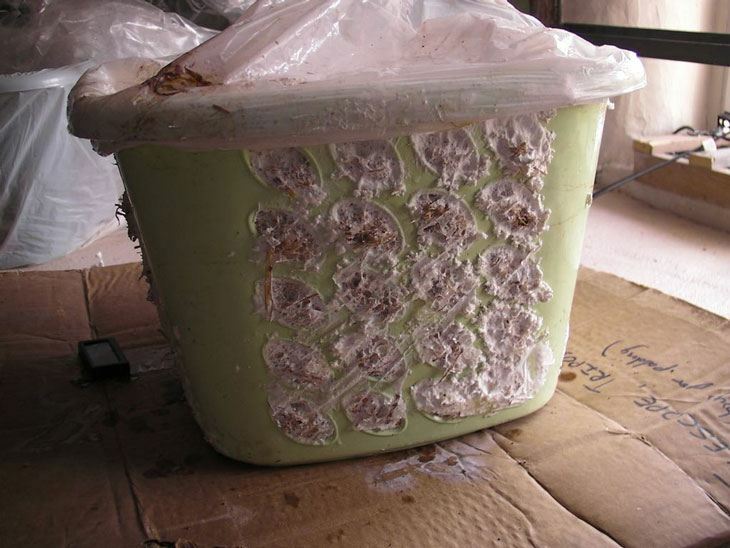 Clean your basket after removing the green mold. If you ever get tired of reading, here’s a video by Societyofenoch to guide you in growing Oyster mushrooms. So, did you learn anything from this little tutorial? If you did, then you’re ready to grow your own Oyster mushrooms at home. 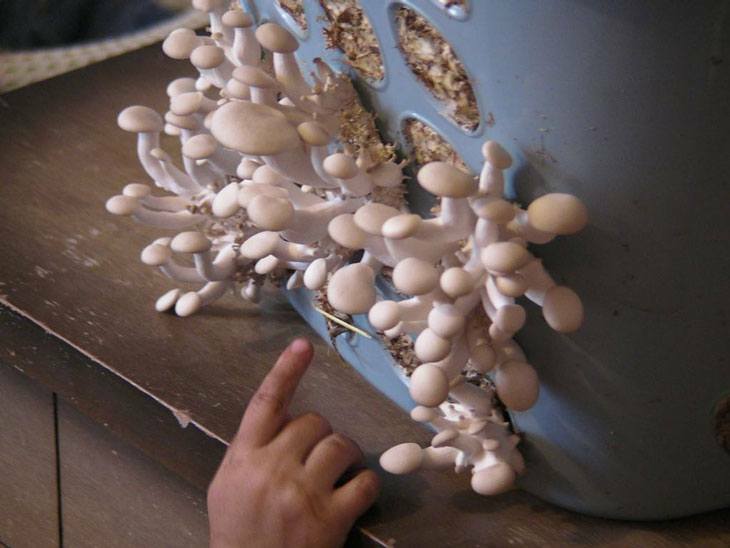 There is a lot of process going on when growing Oyster mushrooms, but when you get used to it, it’s easy to grow. 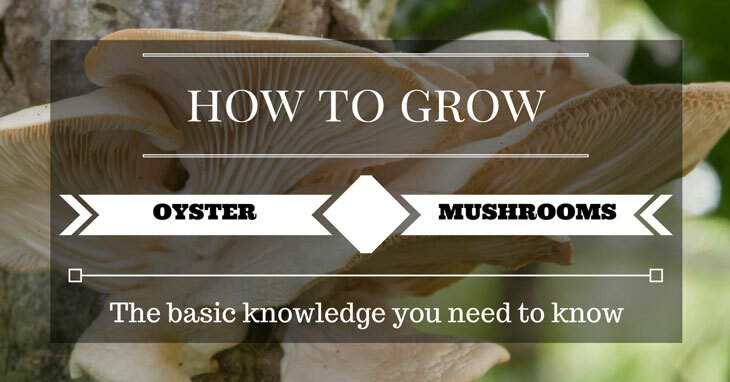 Knowing how to grow mushrooms the right way will take less effort in growing them than those who don’t know. Learn from your mistakes when you fail to grow them. 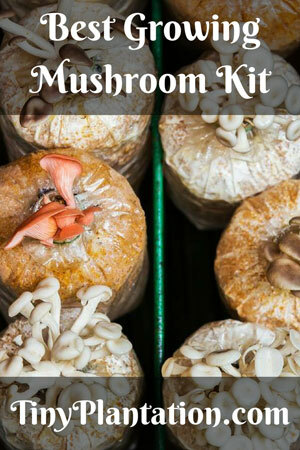 Always keep in mind the important aspects of this project and how it can help you grow mushrooms. Beside this way, you have too another method to grow mushroom easier. Please check this article!